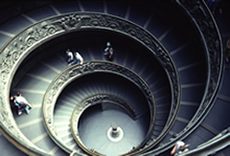 Learning may be thought of as a spiral with both steps of formal and informal learning episodes taking place. Malcolm Knowles is generally considered to have first coined the term informal learning in his book, Informal Adult Education: A Guide for Administrators, Leaders, and Teachers (1950). Allen Tough (1971) was among the first persons to formally study how adults use informal learning through his research at the Ontario Institute for Studies in Education. The next big proponent of informal learning is probably Jay Cross (2007), who wrote about it extensively through his blog and book, Informal Learning: Rediscovering the Natural Pathways That Inspire Innovation and Performance (2007). The terms formal and informal learning have nothing to do with the formality of the learning, but rather with the direction of who controls the learning objectives and goals. In a formal learning environment, the training or learning department sets the goal and objectives, while informal learning means the learner sets the goal and objectives (Cofer, 2000). In addition, if the organization (other than the training department) sets the learning goals and objectives, such as a line manager directing OJT, then it is normally referred to as nonformal learning (Hanley, 2008). Thus, in a formal learning episode, learning professionals, such as instructional designers or trainers, set the goals; while a nonformal episode, someone outside of the learning department, such as a manager or supervisor, sets the goals or objectives. Two other terms worth mentioning are incidental and intentional learning, which refers to the intent of the learning objectives. An intentional learning environment has a self-directed purpose in that it has goals and objectives on what and/or how to learn (Good, Brophy, 1990). Incidental learning occurs when the learner picks up on something else in the learning environment, such as the action of a model that causes him or her to loose focus on the learning objectives or goal and focus on an unplanned learning objective (Good, Brophy, 1990). Thus, formal learning is normally always intentional. Informal learning is intentional if the learner sets an objective or goal for herself and incidental if the learning occurs haphazardly or serendipity. While incidental learning is often dismissed by instructors, it is an important concept because it often has a motivating effect with the learners that lead to discovery learning (an unplanned learning episode, but proves to be quite useful). So unless other considerations prevent it, it can sometimes be worthwhile to detour from the primary objectives to take advantage of an unplanned teachable moment. 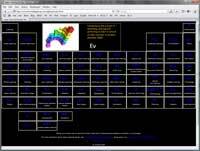 That is, while at times you be able to identify an episode of learning as being either formal or informal, at other times they will blend together. For example, After Action Reviews provide a formal learning environment, but the learning tends to be informal in that the participants choose the topics to be discussed. While it might seem obvious to most readers that both formal and informal learning include both incidental and intentional learning, it might not be as obvious that formal learning often includes episodes of informal learning and vice versa. A two-year study calculated that each hour of formal learning spills over to four-hours of informal learning or a 4:1 ratio (Cofer, 2000). Bell (1977) used the metaphor of brick and mortar to describe the relationship of formal and informal learning. Formal learning acts as bricks fused into the emerging bridge of personal growth. 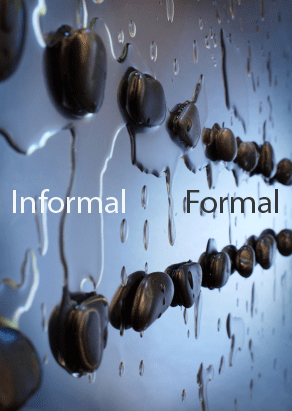 Informal learning acts as the mortar, facilitating the acceptance and development of the formal learning. He noted that informal learning should NOT replace formal learning activities, as it is this synergy that produces effective growth. And of course the opposite occurs in that episodes of informal learning often leads to formal learning. In addition, some learning episodes that are strictly informal may be too narrowly based in that the learner only learns part of a task or superficial skills that may not be transferable to the job (Bell, Dale 1999). Bell, C.R. (1977). 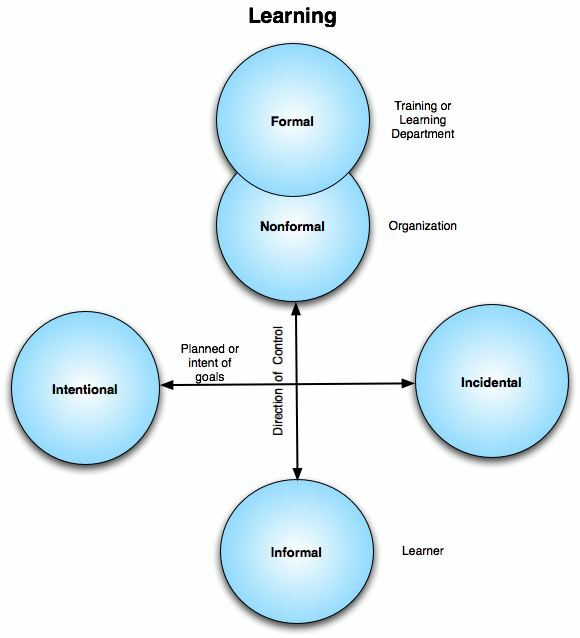 Informal Learning in Organizations. Personnel Journal, 56(6): 280-283, 313. (EJ 160 136). Bell, J., Dale, M. (1999). Informal Learning in the Workplace. Department for Education and Employment Research Report No. 134. London, England: Department for Education and Employment, August 1999. Cofer, D. (2000). Informal Workplace Learning. Practice Application Brief. NO 10. U.S. Department of Education: Clearinghouse on Adult, Career, and Vocational Education. Cross, J. (2007). Informal Learning: Rediscovering the Natural Pathways That Inspire Innovation and Performance. San Francisco: John Wiley & Sons, Inc.
Good, T., Brophy, J. (1990). Educational Psychology: A realistic approach. New York: Holt, Rinehart, & Winston. Knowles, M. (1950). Informal Adult Education: A Guide for Administrators, Leaders, and Teachers. New York: Association Press. Tough, A. (1971). The Adult’s Learning Projects. Ontario: Institute for Studies in Education. Updated October 7, 2015. Created May 20, 2007.